The world of chocolate is diverse and ever-growing, but for a strong and stable chocolate bar, guaranteed to conquer any chocolate craving, I always look to the iconic lilac packet of Milka. It used to be a rare treat you could only get in duty free, but now, they stock it in most supermarkets. Oh wait, it has been. 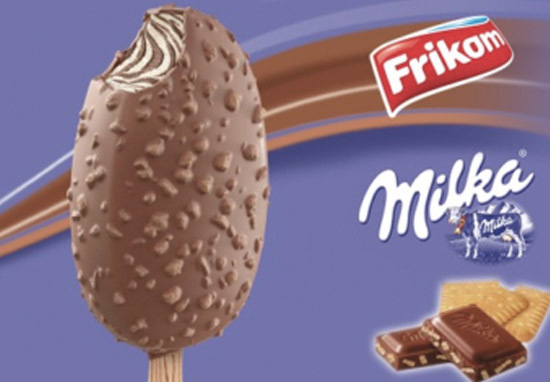 Milka has created a frozen version of it’s creamy milk chocolate, in three different forms. There’s the Grandissimo tub, Milka chocolate-vanilla ice cream and a King Milka ice cream on a stick – Milka for every mood. The Grandissimo Milka ice cream is a big tub filled with white chocolate, regular Milka, and Milka’s hazelnut flavour ice creams. It’s then topped with chocolate sauce and chocolate chips. Just because it’s in a tub doesn’t meant you have to share it. Next up is the King Milka, which is as regal as it sounds, boasting a combo of nougat sauce, double chocolate and a tasty cookie crunch. 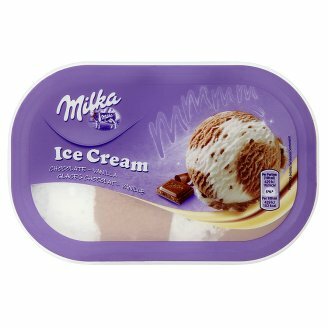 Lastly, for a more simple satisfaction, you can try Milka chocolate-vanilla ice cream which is available in Tesco. If Milka isn’t up your street (which would be weird), then Iceland is selling Vienetta-on-a-stick. Essentially a smaller Viennetta style ice cream on a stick, these Mini Vienna’s are a dream come true and have been re-released after they were a sell out success last year. Iceland have even launched a new flavour, hoping they’ll fly off the shelves this year as well. Iceland will be facing some competition this summer though as Aldi are selling Baileys ice cream sandwiches. A perfect summer dessert, the popular Irish liqueur has been turned into a frozen cream, sandwiched between two chocolate biscuits. But before you run down to your local Aldi store in excitement there’s some bad news – currently, the frozen treat is only available in Australia. Hopefully they’ll be so successful, Aldi will just have to release them here in the UK. Is it me or do other countries seem to get all the best products? M&Ms have released a new Neapolitan ice cream flavoured version of the sweet treat, which is only available in America and down under. The ice cream twist on the popular sweets are a mixture of chocolate, vanilla and strawberry – the classic Neapolitan flavours. If you simply can’t contain your desperation to try them, luckily you can snap up bags of them on Amazon or eBay. Tempting as it might be, you’ll be looking at incredibly inflated prices, but it sounds like it could well be worth it. One brilliant thing the UK does have though is Toblerone ice cream – which is a taste of heaven. Swiss chocolate giant Toblerone has gained something of a cult following over the years and so, it’s no surprise an ice cream version has been released. Hopefully companies will start testing their new exciting ideas in the UK more often.